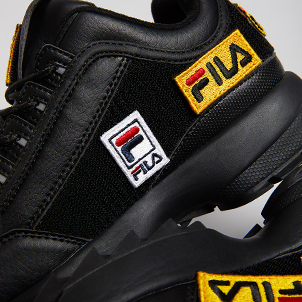 If the products you purchase from fila.com don’t meet your expectations, you may return them up to thirty (30) days later for credit. PLEASE NOTE: FROM THE DAY YOU RETURN YOUR ITEM(S) TO THE DAY WE PROCESS THE ITEMS FOR REFUND, PLEASE ALLOW THREE WEEKS. 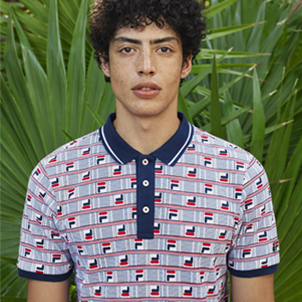 Go to www.fila.com. In the lower right hand corner of the page is the 'Check Order Status' section. Please click on these words. In the 'Check Order' section, please enter your email, order number and your billing zip code. The order number can be found in the upper right hand corner of your packing list between the 'Order Date' and the 'Delivery Method'. A screen will appear with your items from this order. Please click on 'Create and Print a Return Label'. A Google Docs page will appear on your screen with your return label. In the upper left hand corner, you will see the word 'File'. Please click on this word. Hit 'Print'. A label will print that you need to affix to your box. Using the packing list and the return codes that came with your items, write the Return Code next to the item(s) you wish to return. Box up the items you wish to return, write your shipment number on the front of the box (the shipment number is on your packing list in the lower left hand corner under the bar code and enclose the packing list. Be sure to remove all existing labels and thoroughly cross out all bar codes on the outside of the box. Please go to any Fed Ex Kinko's drop location with your box. For a list of locations near you, please go to www.fedex.com. 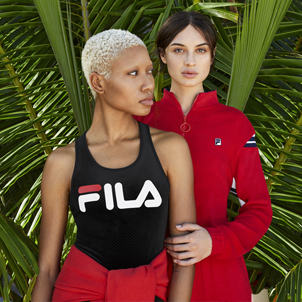 All you need to do is return the product you don’t want using the returns process outlined above, and then purchase the replacement product anytime at fila.com. When we receive and process your return, we’ll credit you back for the original purchase.